Join us for a fun and inspiring Vision Collage for the year ahead. Move into 2019 with purpose and clarity. We're offering this in November to help set the energy to get you through the holidays by creating your vision for 2019 with clarity. Becki Koon with Step Stone and Bella Marie are collaborating to bring you a range of beautiful and uplifting energetic support along with practical tools to listen from within. We will start with a Red Thread Circle to connect with ourselves and each other in this sacred supportive space followed by a guided vision process with Becki and Sound Healing with Bella. 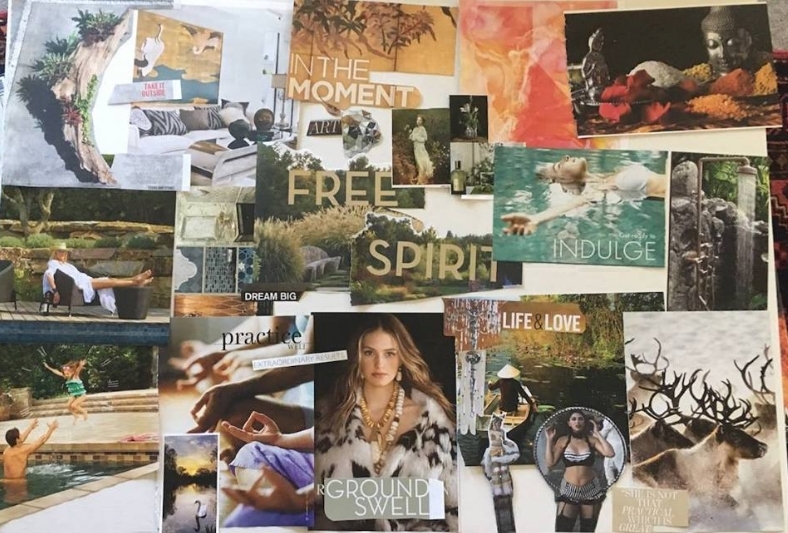 Each participant will create their own 2019 collage using words and images that will inspire and motivate for the coming year. This gathering is truly a treat for the senses! Be ready for spontaneous joy, aha's, breakthroughs and connection! Please call Bella 406-647-0202 or email bellamarie@sonic.net with any questions or to register. Limited space available.